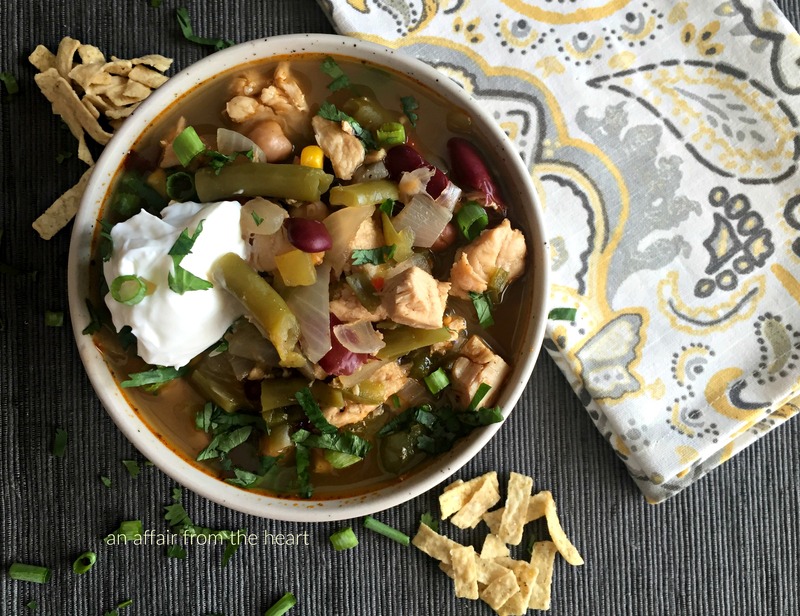 This chicken chili has a sweet heat that will keep you coming back for more! Full of nutritious flavorful beans. This is a sponsored conversation written by me on behalf of Paisley Farms, but the opinions are all my own. 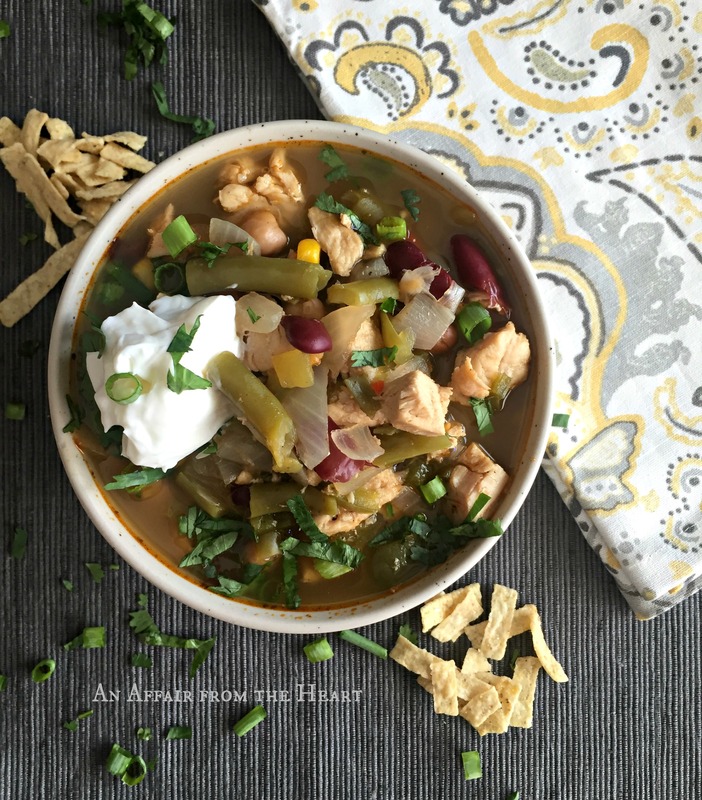 If you love your chili chock-full of beans – you are going to LOVE this one! 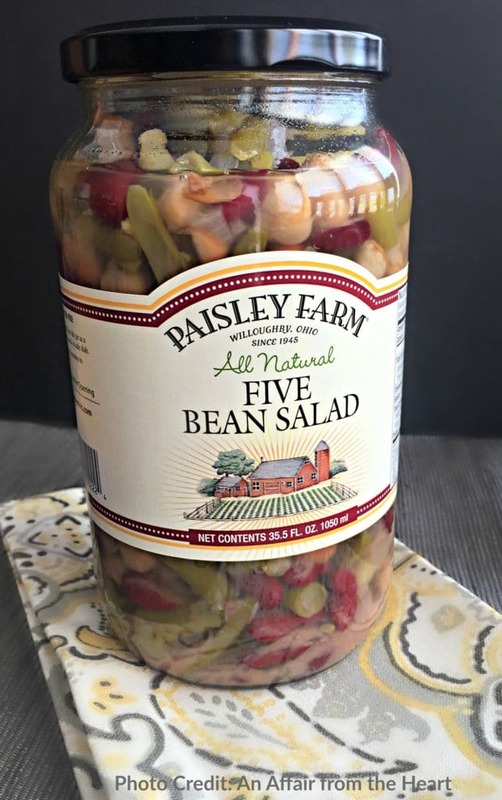 Last week, I reviewed a “new to me” product from Paisley Farms, their Five Bean Salad. You can read my review here. 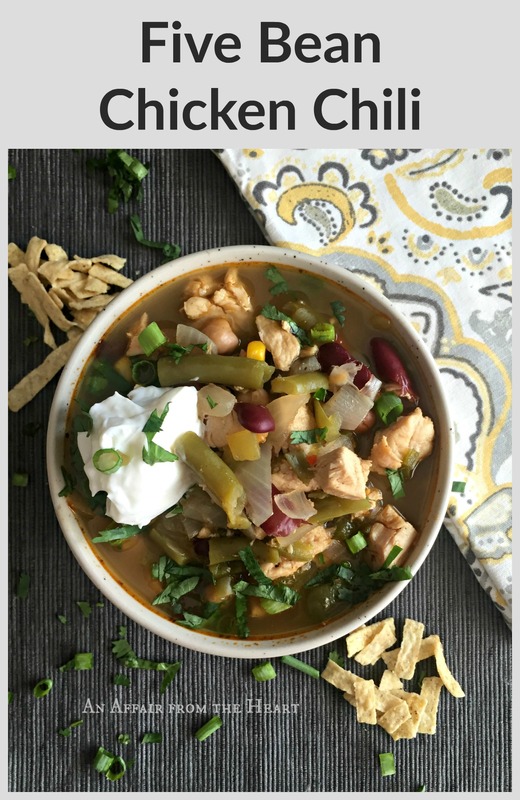 I told you that I was inspired to make a recipe with them, and being since October is National Chili Month – chili seemed perfect! From Paisley Farms: Our signature All Natural Five Bean Salad is a sweet blend of kidney, garbanzo, pinto, green, and wax beans accented with freshly diced onions and red peppers. The convenient straight from the jar goodness makes this one of our most popular items. Colorful and delicious, our Five Bean Salad can be served and enjoyed from gourmet table settings to summer picnics, and everywhere in between. This recipe came together so quickly, and it was really addictive. That pickled taste from the salad gave it a slightly sweet taste upon taking your first bite — soon after an amazing heat took over. It was truly the best of both worlds. My hubby eats lunch at home, and I was making it when he arrived. He couldn’t stop sneaking bites out of the soup pot — – “Mmmmm-ing” after every bite! Saute onion and garlic in about 1 Tablespoon oil in stock pot until translucent. Add Jalapenos and green peppers, saute a couple minutes longer. Add green chilies. Add chicken, corn and five bean salad. Add in spices and chicken stock. Simmer for 20-30 minutes. To serve top with sour cream, green onions, cilantro and tortilla strips. This could also be prepared if your crock pot on low for 4-6 hours. 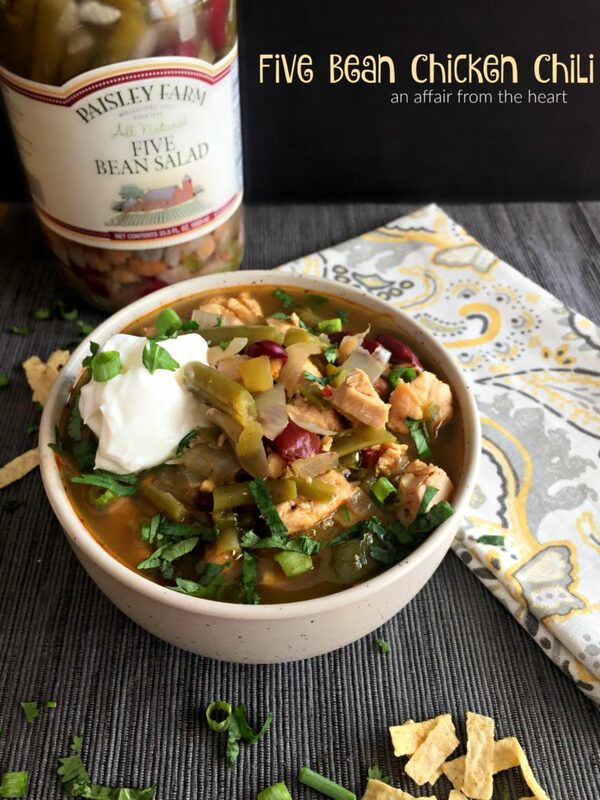 Find where you can pick up delicious Paisley Farms Five Bean Salad, or any of their other fabulous products by visiting their website. You can also follow them on social media! Paisley Farms on FaceBook and Pinterest. Sounds delicious. Thank you and have a great day! I am going to have to look for that Paisley Farms Five Bean Salad so I can try this recipe! It looks SO GOOD! I would have never thought to do anything like this but it sounds so good! This chili sounds fabulous!!! And that bean salad – what a clever idea putting it in the chili. What a hearty chili! Looks like the perfect autumn meal!